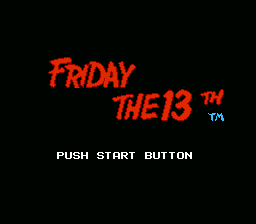 What better way to celebrate Friday the 13th, then with Friday the 13th? I did not even get the chance to see the awesome cover art until I got home because it was in one of those plastic rental cases with the manual paper printed on the liner. 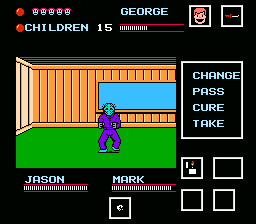 We get home, pop in the game, and are greeted by Jason's mask lying on the ground, and then the knife appears and flies into the eye socket of the mask in a seizure-inducing flash of light. Awesome !!! 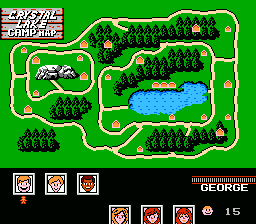 Then, we're greeted with a map of Crystal Lake, and the choice between six different counselors. Each of them starts off at a different cabin in the map, and then you are told by the game to "light the fireplaces with torches" .... okay? So, I'm now controlling one of the counselors, running back and forth, throwing rocks in an arch in front of me at emerging zombies from the ground. I'm getting into the cool music, and then all of a sudden, an alarm sounds. This is to tell me that there are children (or a counselor) under attack by Jason. I now have a limited amount of time to make it from where ever I happen to be on the map to Jason's location. 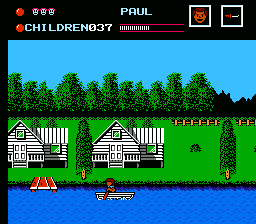 I can do this by running to the location (unless it's a lakeside cabin - where you have to row), and then damaging Jason enough that he runs away? Otherwise, you lose a counselor, or some of the children. Jason will probably even kill the person that you've sent him, because he's strong, and hard to avoid. Each counselor essentially counts the one life, but each of them have different strengths and weaknesses- I'll leave that for you to discover if you wish to play, but some are better at rowing the boat, others are better at running, or jumping . The vague instruction at the beginning about lighting fireplaces is actually the means of unlocking more items that can be used to better assist you in your quest. There are labyrinthine paths through woods and caves that contain items that make it a little easier to damage and get around, and there is even a hidden boss to be found. So, you're probably wondering why the love / hate relationship with the game? Well, it's difficult. 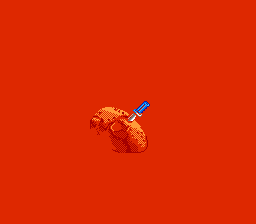 Not just in the traditional sense of "Jason is a hard boss to figure out his strategy in battle" (that really is not), but because there are so many things working against you. The timer is irritatingly short when you need to make it to Jason unless he happens to already be by you, and the paths are specifically designed to make you disoriented. Traversing the map can actually do this, too, because you are always on a horizontal path, but the pause screen map shows you going up or down the path on the map without reorienting you, and sometimes its hard to remember if moving right will move you up or down on the map. The hit detection can sometimes be a little off when you're trying to defeat enemies, and the starting rock has the weirdest arch ever, so even the default weapon takes some getting used to. 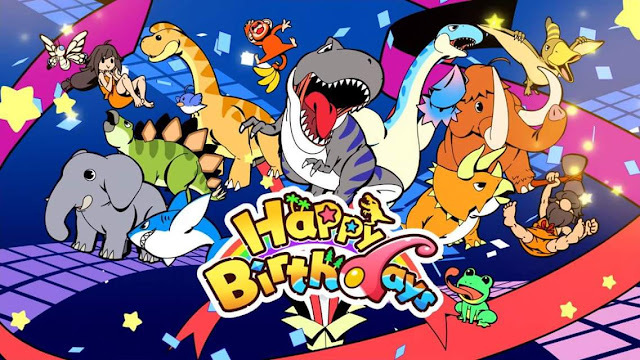 When I first played this game as a kid, I complained endlessly, making threats to break it because it was such a piece of crap, and I was sorry that I had money on it, etc. All of the things you do not like and say about the games you do not like the kid. Then, over the next year or so, I found myself renting the game at least once a month. If I hated it so much, why did I keep renting and playing it? My best guess is because it was kind of unlike anything else I had played before, and back in those days, you often attributed to being "bad" to the fact that you were not good enough at it, yet. 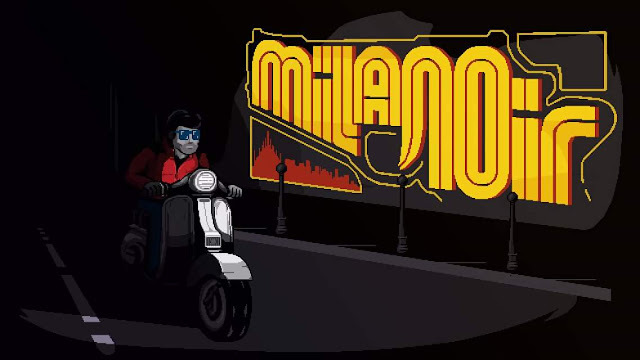 I wanted the game to be good so badly, that I convinced myself that I could get better at it, and prove to others that it was a good game, just misunderstood. It sounds really silly, but it made sense to me. It also seems to have been rather obscure games by a lot of standards. 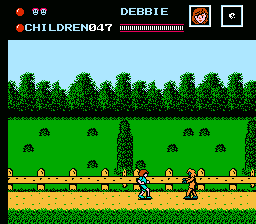 I ended up running across a lot of people who had never played the game as kids, or did not remember hearing about it if they had. Some of this can be chalked up to the fact that most kids are not allowed to watch horror movies, and so their parents would also prevent them from playing a game based on one. However, it probably also has a lot to do with the fact that the game was terrible, and it is a lot easier to forget terrible games that you avoided playing then it is to remember them. Then, it became the subject of one particularly angry youtuber, and everyone crawled out of the woodwork to shout the game's many failures from the mountaintop. Even with all of that, however, I still think that the game is worth playing ... especially during the Halloween season, as there are some frightening moments in the game. Just understand that it is not a particularly great game, and you will be frustrated. Be sure to check back tomorrow for more spooky game reviews!